Dakota Morrow, 11th grade, Dalton Morrow, 8th grade & Mary Kathryn Morrow, 5th grade, all of Everest Academy, participated in State 4H Archery Competition for the 1st time on Saturday, March 9th in Anniston. They have been learning under the direction of Barbara Johns with Cullman County 4H for 4 months. Each of them competed in the division of "Compound with Sights". It was really fun to compete with other archers from across the state. Mary Kathryn competed as a Junior, and her team took 2nd place in the State overall. She was in the top 4 of her team. Dakota & Dalton competed as Seniors, and their team also took 2nd place in the state overall. Dakota was in the top 4 of his team. 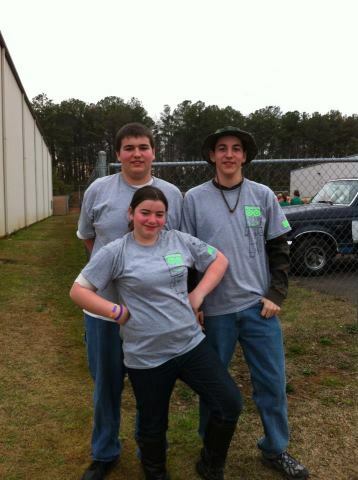 They hope to continue to learn & improve their skills as archers & return to state competition next year! Woo hoo! Way to go guys! If your Everest Academy has done something you would like to spotlight, please send the info along with a pictures to Deb Spradlin at everestacademy1@gmail.com. I love to hear all about it!